Rare opportunity to own your own penthouse escape in the sky! 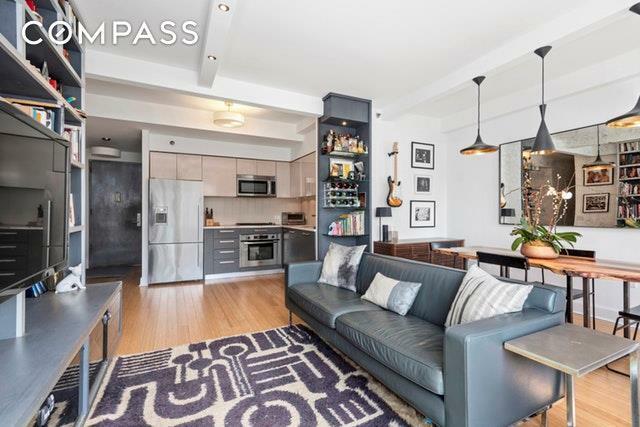 Penthouse 2N is a stunning 2-bedroom, 2-bathroom duplex home with a balcony that spans the living room and your own private, relaxation-ready roof-deck oasis with hot tub. With 1,017 sqft interior and 670 sqft exterior, there is plenty of space to enjoy. The king-sized master bedroom includes a large walk-in closet and ensuite bathroom with plenty of storage and double sinks. The generous second bedroom is outfitted with a custom closet to maximize storage and space saving. The living and dining areas and open chef's kitchen are great for entertaining or just to unwind from the daily grind. The kitchen, by Mastri La Cucina, includes appliances by Miele, LG, Bosch, & Fisher Paykel and features marble counters. 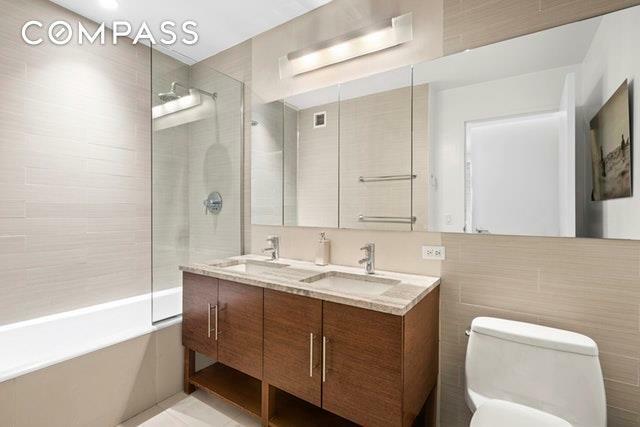 Bathroom finishes include Zebrano porcelain wall tiles, Rocky River marble countertop, Crystal White stone countertop, Kohler bath and toilet, Pegasus faucets & rain shower heads, and custom Wenge cabinetry. The living/dining feature carbonized 4" bamboo flooring. 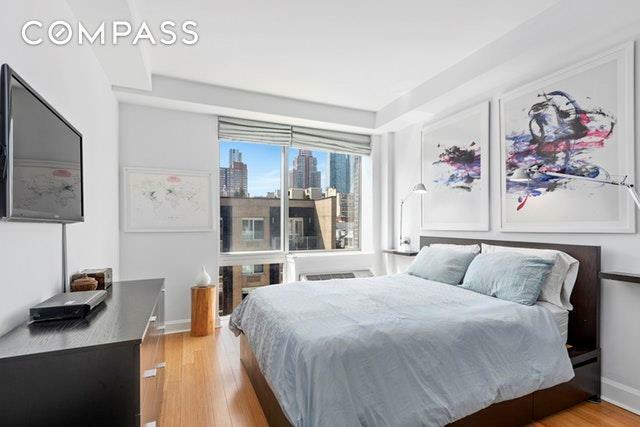 This penthouse also offers an in-unit Bosch washer/dryer and full-size second bathroom. The entire home gets ample sunlight throughout the day from the south-facing windows with views of the city and sky, yet is quiet and peaceful, as it faces into the 505's shared planted courtyard. Adding to the allure of this penthouse is direct access to the amazing, private planted roof deck, where you can escape the hustle and bustle of city life in your serene and inviting oasis and soak away your stress in your own relaxing hot tub. This vantage point is perfect for the Manhattan skyline, the Hudson River, and even the Times Square ball drop on New Years Eve. The 505 is a luxury boutique condo that offers a full-time doorman/concierge, live-in Resident Manager, bike room, storage room, laundry room, and common roof garden. The complex also features a private Zen garden retreat, nestled between the sleek dual structures of the north and south buildings. This urban oasis invites relaxation while priming you for a workout in the 24-hour fitness center in an enclosed greenhouse, just steps away. For a new perspective on fabulous living, there are two landscaped communal rooftop terraces that offer a haven of plush day & night beds, outdoor living and dining areas, barbecues and more. The noted architectural and design firm of H. Thomas O'Hara has created a thoughtful urban environment, selecting environmentally appropriate finishing details along with a rich array of nature-inspired textures and hues. Life moves to an enticing rhythm at the 505a vibe that fuses the cool notes of streamlined sophistication with the welcoming warmth of home. 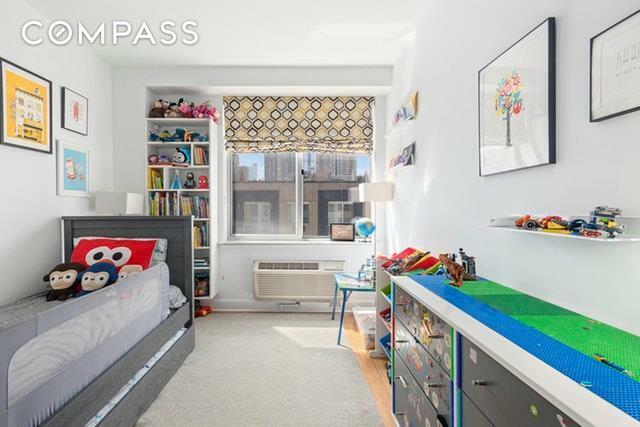 All this within walking distance of the Great White Way Theater District, the Midtown business District, the Hudson River Park, and the newly opened Hudson Yards, along with plenty of restaurants, shops, grocery stores, green spaces, and gyms to choose from. Also easy access to transportation with A/C/E, N/R/W, and 1,2,3,7 trains all close by. Life looks great at the 505. Simply put, there is nothing comparable! NOTE: Additional monthly reserve contributions of $152.02. Listing courtesy of Brian Paylago of Compass.